2 Pack Replacement cartridges for the Therarpy Shower Deluxe shower filter unit. Waters therapy shower completely removes the residual chlorine in tap water, providing clean safe water, reducing skin irritation & hair loss. 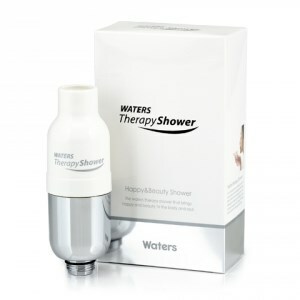 Waters therapy shower contains vitamin C to neutralise chlorine, moisturise and nourish for healthier skin. Waters therapy shower includes magnetisation function, which by reducing its molecule size and providing soft water allows the water and nutrients to be absorbed into skin.